Try our Ozcart online demo to see for yourself how easy it is to add products, manage orders, print invoices, and manage customers using Ozcart®. Ozcart includes many Australian, Canadian, American, European (and much more) payment gateways, shipping options, and advanced ecommerce features and marketing reports to help you sell online. See how effortless everyday key tasks can become by using Ozcart for your online store. Note: The Ozcart demo resets every hour, so you can freely test any feature that is available, without risk. 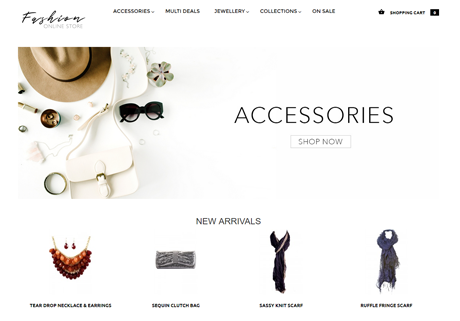 Log in to place orders, view products, search, and more. 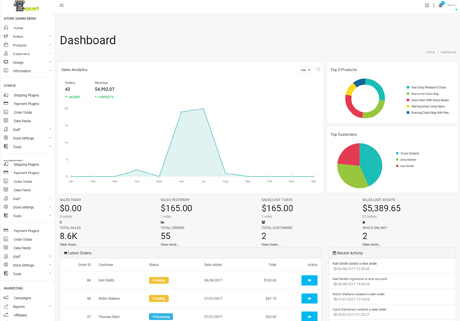 View orders, features, theme editor, and manage customer data. Log in to the admin area and navigate to Design > Blocks to see the many features that Ozcart offers. Create or manage products in Products > View Products. Navigate to Design > Theme Settings to see the various theme settings, the Layouts Builder, and the visual editor (in Customization). In Store Settings > General Settings, you can find Ozcart’s settings. We’re constantly adding new settings. Configure your shipping & payment methods in Shipping Plugins and Payment Plugins. Go to Customers > View Customers and log in as a customer to experience what a customer can do, and then try out a test order. In the admin area, navigate to Orders > View Orders to manage any order. Check out the staff management (View Staff) and user permissions (Staff Groups) in Staff, in the admin area. Last but not least, go through every menu option in the admin area to get a full tour of our shopping cart, Ozcart. View our video tutorial to learn about how to use our visual theme editor.